Hope you like Bobo! Nice weekend! 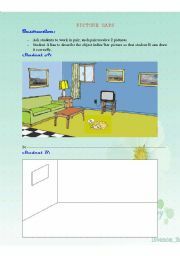 This ws is used to teach vocabulary of transportation, there is 2 exercises to practice and answer key enlosed. Have a nice weekend! This is a funny game to practice how to talk about neighborhood. Hope you like it. Have a nice new week! 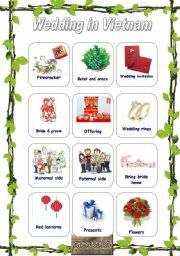 Pictionary and a brief description of Vietnamese wedding custom included. 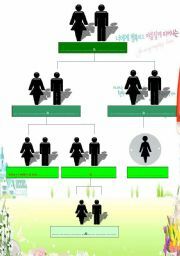 Hope you are interested in! 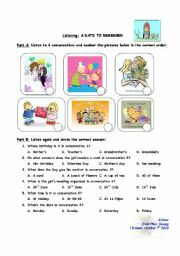 With this worksheet, teacher can check the knowledge of students about greetings in the world as well as review vocabulary of countries. 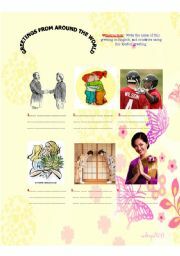 This worksheet is very useful for students to brainstorm vocabulary of family. This ws is for listening events inclding 6 conversations with 2 parts of exercises. Leave your email, and I will send you its audio. Enjoy it! This is an interesting activitity for students to produce language freely. They will try to brainstorm vocabulary of object in room as well as preppositon of place they know to speak.